For the first time, the best 13- to 17-year-old pianists from around the globe are coming to Dallas, Texas, May 31—June 8, 2019. 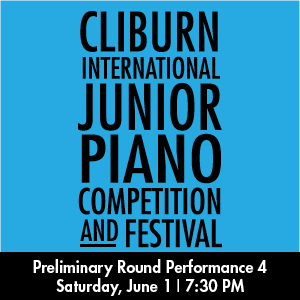 These elite young artists will showcase their virtuosity and touch our hearts with their sincere musicality through four stunning rounds of competition. 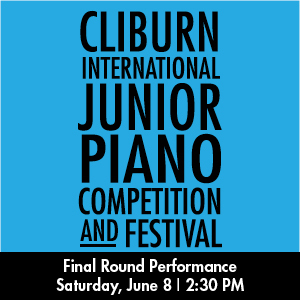 Don’t miss this chance to witness Cliburn history, once again. 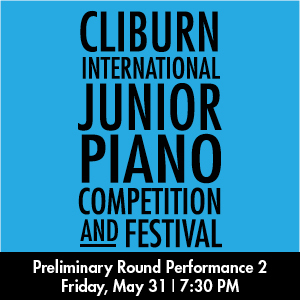 6 of 24 Competitors each performing a 20-minute recital to include a virtuosic étude and one three- or four-voice Bach Prelude and Fugue. Quarterfinal Round- 14 pianists, each performing a 30-minute recital to include the first or last movement of a Classical sonata. Semifinal Round- (Phase 1) 3 of 6 pianists, each performing a 40-minute recital to include a work by a living composer. 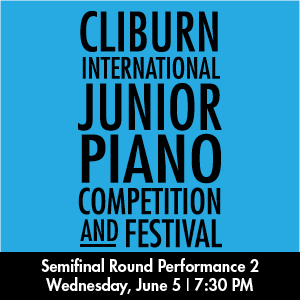 Semifinal Round- (Phase 2) 6 pianists, each performing one concerto movement with piano accompaniment. 3 pianists, each performing one complete concerto with the Dallas Symphony Orchestra under the baton of Ruth Reinhardt.